Errol: Fran is from 2012. I just had to include her in! Tonight, we hopefully are going to make it to this event. I have no idea really, I am hoping I made it to California in one piece. Errol: It’s December 1st. Wow. I can’t believe it. 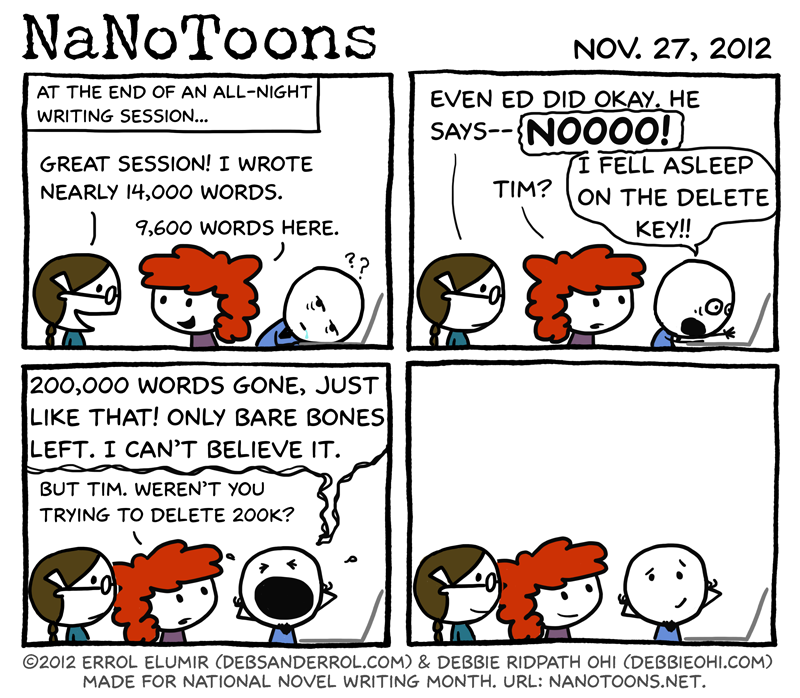 Thank you, all of you, for joining us with comments, and encouragement and just the insanity of Nanowrimo. 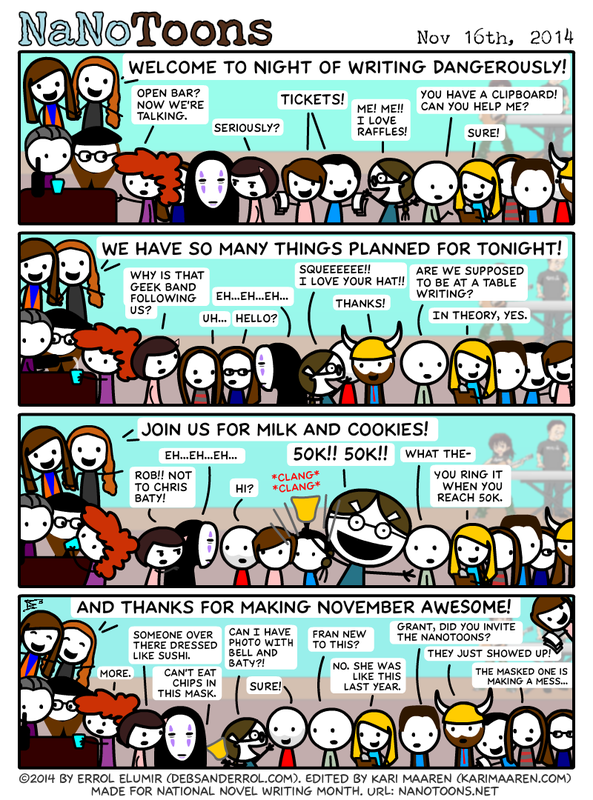 I hope you guys had as much fun as I did, although I am totally bushed this November. 😀 I agree with Debbie, I couldn’t keep UP with the comments at all, but thank you so much for them, they totally made my day! 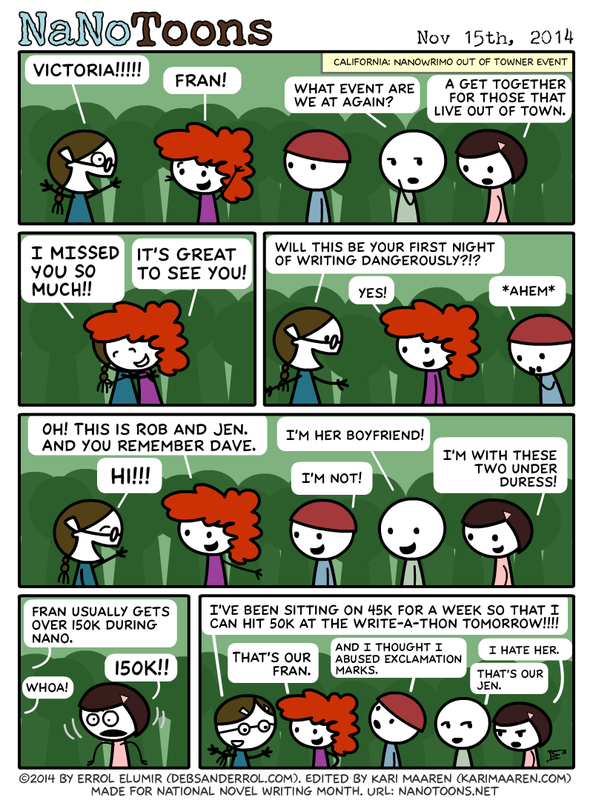 And just to let you know, I also do daily webcomics with my band, Debs and Errol. There is less drama there, but I could talk about Debs dating life… 😀 She’d kill me. Anyway, thanks again, we’ll see you again next year! Debbie: Ha! Love this strip, Errol. 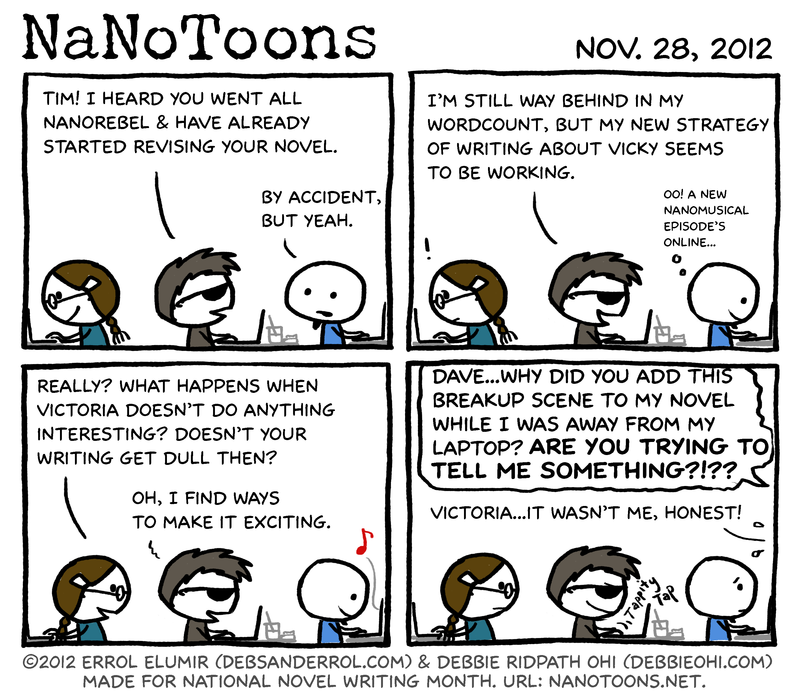 We’ll come up with a plan for the last NaNoToon today! Or maybe one of our readers will come up with a good idea in the comments…. 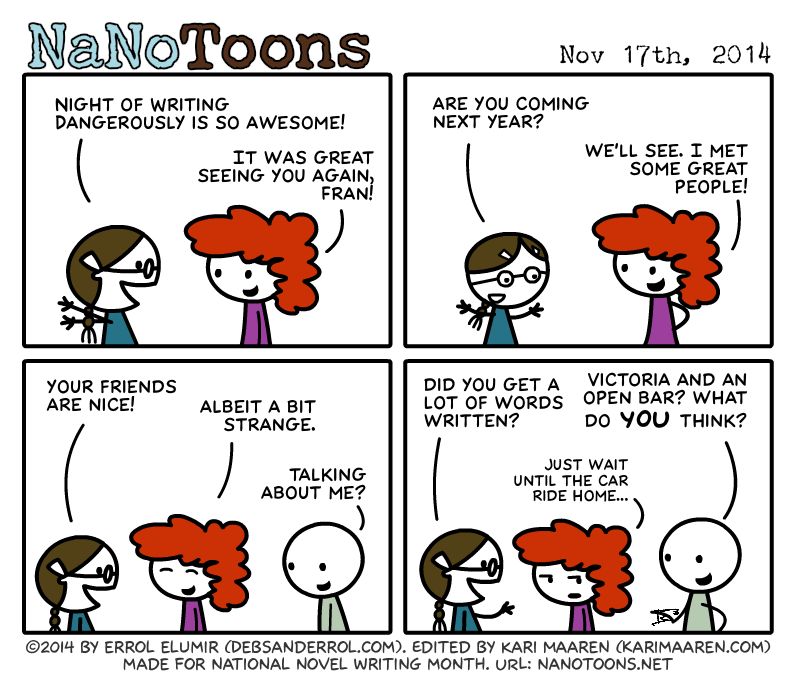 Errol: Our overnight writing session has two rooms: one for serious writing and quiet, the other for people like me. And it’s where the food is. The only time I ever went into the quiet room was to go warm up by the fireplace. It was cozy.